New Liturgical Movement: Could the Traditional Latin Mass Be Improved—And Should It Even Be Attempted? Could the Traditional Latin Mass Be Improved—And Should It Even Be Attempted? After reading my article “How the Traditional Latin Mass Fosters More Active Participation than the Ordinary Form,” a friend of mine objected that my stance seemed to rule out even the possibility that the usus antiquior could be improved in regard to participatio actuosa. I replied to him that it was not my intention to assert that conclusion. Perhaps improvement in regard to this laudable goal (properly understood, of course) would be possible, slowly, over time, and in response to the promptings of saints or of the faithful People of God themselves. What I am convinced of is that assembling a committee of trigger-happy liturgical “experts” whose brains are stuffed with debatable scholarship and ideological agendas is not the way to improve anything that has been handed down to us by the Church, and I am equally convinced that even as it now stands, the usus antiquior, celebrated by and for liturgically well-informed Catholics, allows for the realization of the main goals of Sacrosanctum Concilium better than the Ordinary Form does—even assuming ROTR-favorable circumstances, which, needless to say, seldom obtain. One of the first objections raised against Catholics who love the traditional Latin Mass and labor for its broadest possible restoration is that we are viewing the past through rose-colored glasses and that, in reality, things were terribly bad before the Council and urgently needed changing. The problem with making this claim or refuting it is that the relevant evidence one might draw upon is vast and diversified beyond belief, with many conflicting elements. Nevertheless, while admitting for the sake of argument that there were plenty of problems prior to the Council, I think it is safe to say there is one supremely obvious difference between the period before the heyday of liturgical rupture (ca. 1965-1970) and the period after. Before this period, Catholics around the world were known for their widespread attendance at Mass, and it seems that a great many people were trying to be devout, or at least respectful, at Mass. Families attending low Mass together, praying the rosary or reading devotional books, may not have been the pinnacle of participatio actuosa in the Mass, but then again, as the Liturgical Movement pointed out, many places had never implemented what St. Pius X had called for—namely, that Mass be sung, that the people sing the chants and dialogues of the Mass Ordinary, and that they become familiar with the actual prayers of the liturgy. Still, there was a distinctively Catholic thing that Catholics did every Sunday (and the more pious, more often than that); they knew that this was the Holy Sacrifice of the Mass, that Jesus was really and truly present in the Eucharist, and that you couldn’t receive Him if you were in a state of mortal sin. 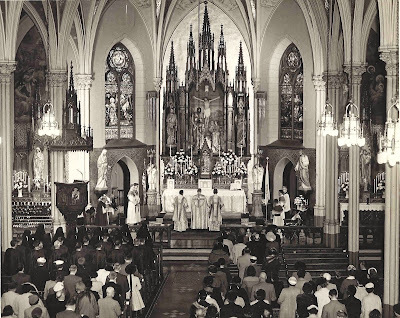 Mass attendance was already decreasing in the mid- to late sixties, for social and cultural reasons known to all, but after the liturgical rupture embodied in the Pauline Missal, attendance fell precipitously. The situation we have on our hands today, with only a small percentage of the baptized still going to church at all, has its birth in this period of unprecedented liturgical insolence, experimentation, disruption, and confusion. A decline had already set in, to be sure, but it was the outrageous shock of substituting a new rite of worship for an age-old bearer and transmitter of Catholic identity that confirmed definitively the modernizing madness of the institutional church. This was the death knell. To paraphrase Joseph Ratzinger, if this is how the Church treated her most valued possession, her mystical treasures, what other betrayals could be expected from her? Would anything remain stably in place? Could doctrine itself survive the onslaught? This is why some, rightly in my opinion, consider the Synods on the Family (last year’s and the forthcoming) to be the logical continuation and completion of the conciliar reforms. The years during and after the Council were preoccupied with changing ritual and discipline as widely as possible, while doctrine seemed to be left untouched, but all along the modernists have been preparing as well as they could for an opportunity to “renovate” the doctrine as well. Given the freedom to do so, there is almost nothing in the faith that they would not falsify or modify, in the same way that almost nothing in the Mass was left intact. Sadly, even with a liturgy entirely in the vernacular, Catholics today by and large seem barely aware of those basic truths of the faith—and again, it’s not reasonable to say the problem is merely poor education. The very form of the liturgy doesn’t convey those truths as effectively. If you don’t hear aloud (or read in your missal) prayers indicating that the Mass is a true and proper sacrifice, then can we say that the Eucharistic liturgy is being true to itself, true to its very nature and purpose? In short, the reformed liturgy was as much a repudiation of Sacrosanctum Concilium’s principles as the traditional liturgy was capable of fulfilling them if only patient formation had been pursued. In this sense, I am definitely of the opinion, which has been discussed at length by Dom Alcuin Reid, that authentic liturgical formation is the golden key to participatio actuosa, and that without this formation, no amount of fiddling and fidgeting with the liturgy is ever going to make a real difference, a profound difference, in how the people participate. They will be devout or semi-devout spectators at a TLM, bored or semi-bored spectators at a Novus Ordo. 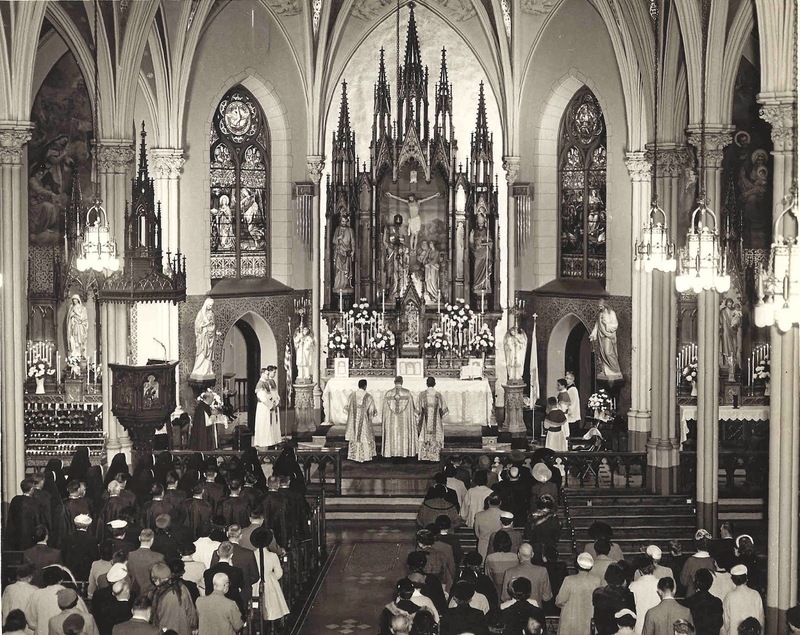 For this reason, too, a growing number today are of the opinion that the traditional liturgy, which carries within it so very much to participate in, is the ideal point of departure for the spiritual revitalization of Christian worship that Pope John XXIII seemed to have numbered among his objectives for Vatican II but that Paul VI thwarted with his myopic modernizations. Does this mean there can be no improvements in the liturgy handed down by our forefathers? That conclusion would not seem to follow from anything I’ve argued; on the contrary, the liturgy should continue to develop organically, because that is both a sign and a cause of its vitality. Eventually, for example, the old Missal should accommodate some of the most beloved of the more recent saints. Still, it is eminently reasonable that, after the maelstrom of the past fifty years, change doesn't seem to be high on the list of desiderata for lovers of the sacred liturgy. 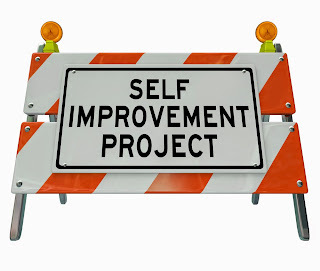 Truly organic development takes time, plenty of time, and no one need be in a rush. The improvements most desperately needed in the Church today are those that will take place in our minds and hearts when we throw ourselves anew into the Church’s treasury of worship and so learn how to be Catholic once more. Fundamentally, we ourselves are the ones who need reform, not the liturgy. We see a similar problem with John Courtney Murray’s interpretation of Dignitatis Humanae. He helped formulate the document, but in the end, it does not say what he wishes it said nor what he went around afterwards claiming that it did say. Put simply (and without pretending to solve the enormous difficulties presented by this document), it does not embrace the Lockean privitization of religion and idolatry of toleration, and therefore does not endorse the American understanding of the good of separating Church and State. Regarding Sacrosanctum Concilium's conservatism, I do not deny for a moment that it contains moments of insane rupture, e.g., the suppression of Prime. But the document, no matter how you look at it, right side up or upside down, simply can't be turned into a blueprint for the Novus Ordo Missae that rolled off the production line some seven years later. A strict application of it might have yielded something like the 1965 interim missal or the current Anglican Ordinariate liturgy. There were loopholes, to be sure, but the funny thing is that the loopholes ended up dominating the implementation, rather than the clear (or somewhat clear) principles and specifications. See my article "Paul VI: A Pope of Contradictions." Someone out there might be tempted to say something like this: “The Pope is, of course, above a council, and he need not follow a council’s promulgated documents at all; indeed, their very meaning is so totally subject to his judgment that one could never say that a pope was rejecting or disobeying a council, since it has authority only by his consent, and he can withdraw that consent.” This seems to me to be an irrational ultramontanism that no Catholic who respects tradition, the magisterium, or the papacy should ever countenance.